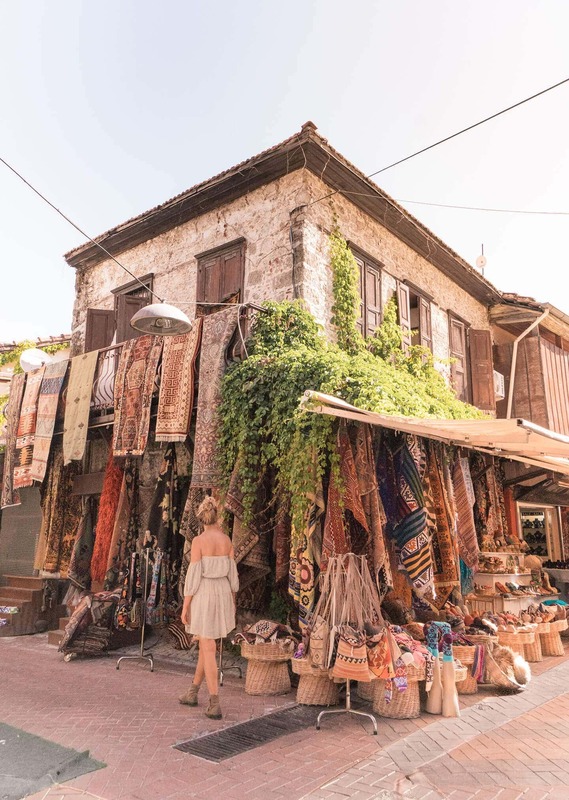 Fethiye is an area on the turquoise coast of Turkey that shouldn’t be missed on your trip through this incredible country. It is very popular for its paragliding which is definitely a must-do. 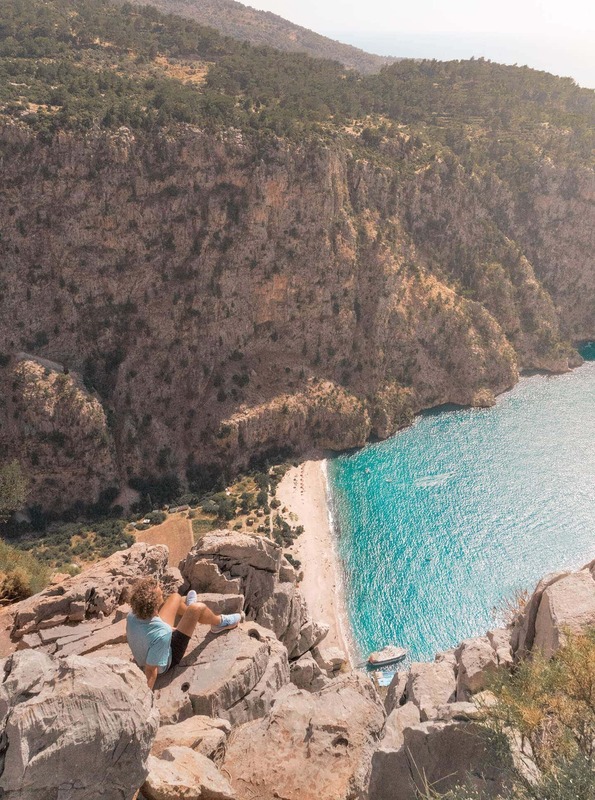 Here are 9 reasons why Fethiye is the hidden gem of Turkey’s turquoise coastline. One of the craziest drops you will ever see, Butterfly Valley is mainly visited by boat where you can enjoy the beautiful white beach. If you rent a car or motorbike you can get to the viewpoint that looks out over the valley. It’s about a 15-minute drive from Oludeniz town. Also, see the full Turkey Route. 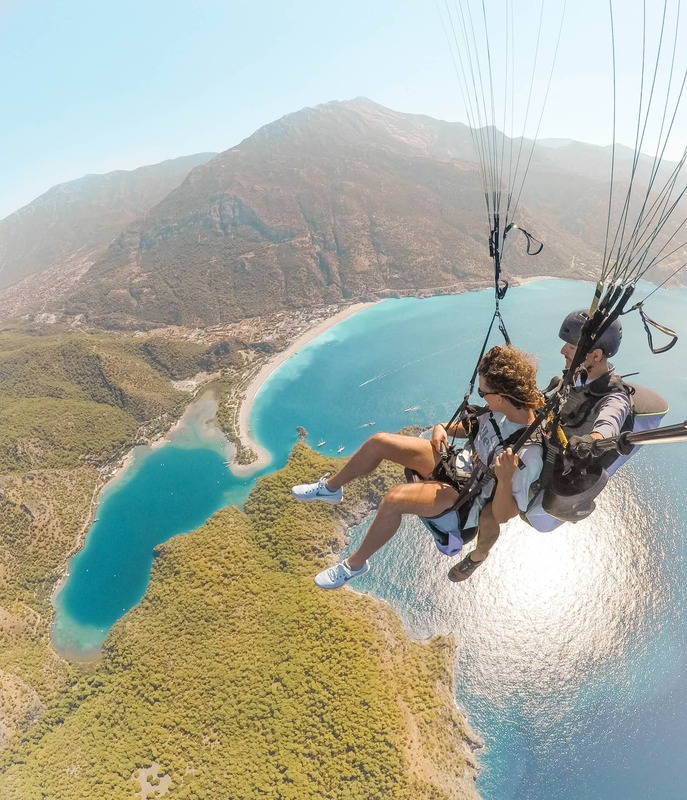 Paragliding is the must-do in Fethiye. It is actually located in Oludeniz town. We highly recommend Sky Sports, which was the best paragliding company in the area and owned by a Dutch lady named Nicolette. After instructions you will be taken to the top of Babadag Mountain at 1960 meters, which is about a 40-minute drive to the top. You will get to know your instructor and he asks you if you like to do tricks or just enjoy the view. Oludeniz town is about a 20-minute drive from Fethiye. It’s has a great boulevard, a widely stretched beach perfect for sunbathing and the best fake brand shops. 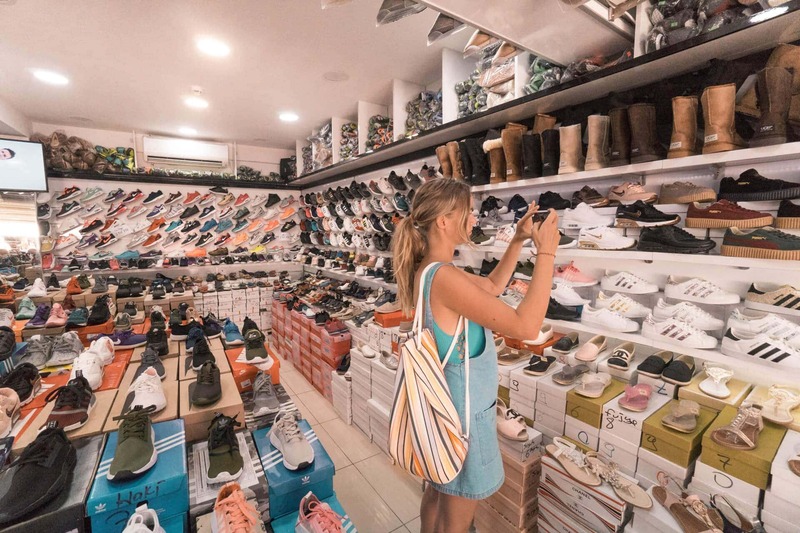 Great to fill up your Nike or Adidas collection back home :-) The quality and price of these shoes will blow your mind. 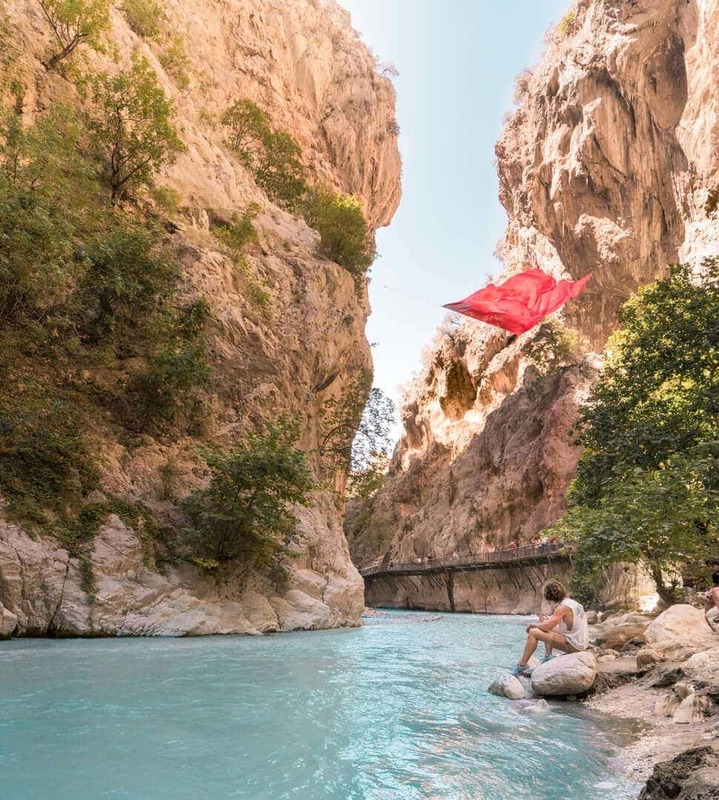 Saklikent Gorge is a 300 meter-high and 18 kilometer-long canyon, one of the deepest in the world. Its name means hidden city. You don’t have to walk all 18 kilometers, a small walk can be enough to see some highlights. Remember to take your waterproof camera since you will have to walk through the water. The level of the water changes by day and can easily get to your knees. The water is super clear and cold since it is meltwater from the mountains. 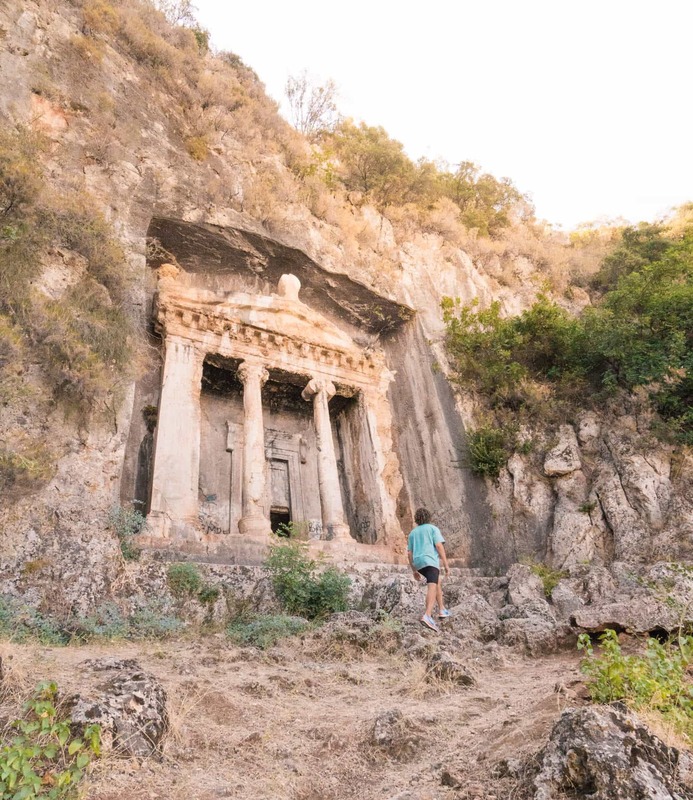 These tombs are carved into the rock and can be seen from all around Fethiye town. Getting there is easy, Just head over to The Kings Garden restaurant. Across the street is the entrance. You need to climb 200 steps up to take a closer look. You will be rewarded with a tomb entrance of an impressive size and a beautiful city view. The entrance fee is 5 TL which is $1.50. Where to eat in Fethiye? We lined up our favorite restaurants including a yummy(?) rating. 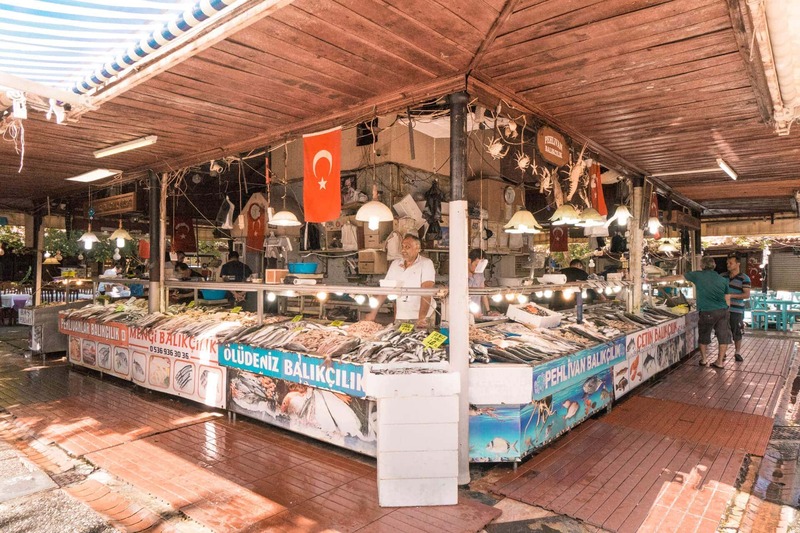 Don’t forget to check out the fish market in Fethiye Old town! 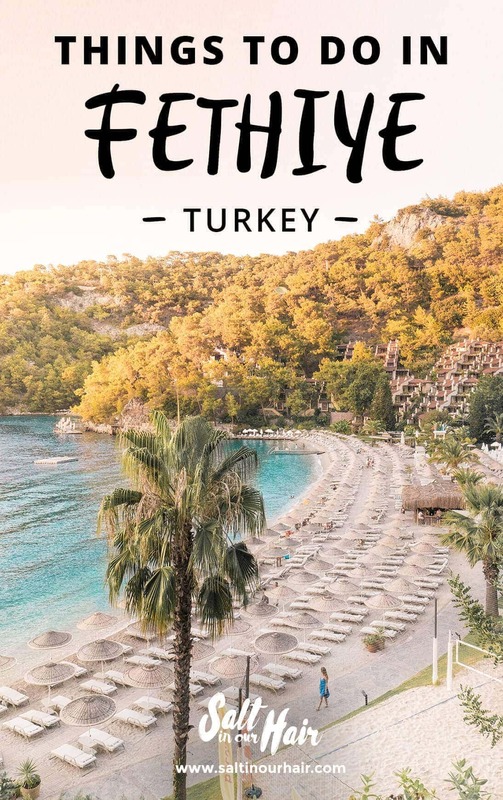 Where to stay in Fethiye? 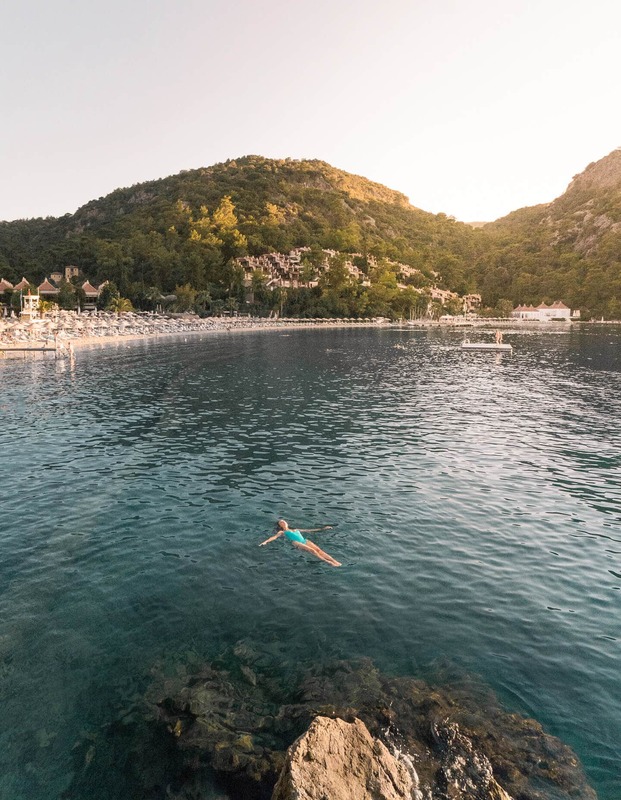 There are enough affordable options in Fethiye but if you really want to be on a piece of heaven on earth than visit Hillside Beachclub. This is, on the date of writing, our number 1 accommodation we’ve ever stayed in. Hillside is an incredible beach club resort with 3 private beaches, 3 restaurants with incre-di-ble food and even the real Bali Spa treatment! Just $25 a night including a pool! A hotel room view directly over the sea!